The Division 2 on PC also will be available for purchase online from the Epic Games store and the Ubisoft Store following the release of the game. Ubisoft and Epic will work to integrate key components of Ubisoft’s Uplay and Epic’s online services to provide gamers from both ecosystems with more seamless social features and interoperability. Ubisoft and Epic Games store will also partner on additional select titles to be announced during the coming year. Development of Tom Clancy’s The Division 2 on PC is led at Massive, with features that cater specifically to a wide variety of PC gaming builds. Tom Clancy’s The Division 2 is the next evolution in the open-world online shooter RPG genre. Set seven months after a deadly virus was released in New York City, the world is on the brink of collapse, its people living through the biggest crisis ever faced in human history. 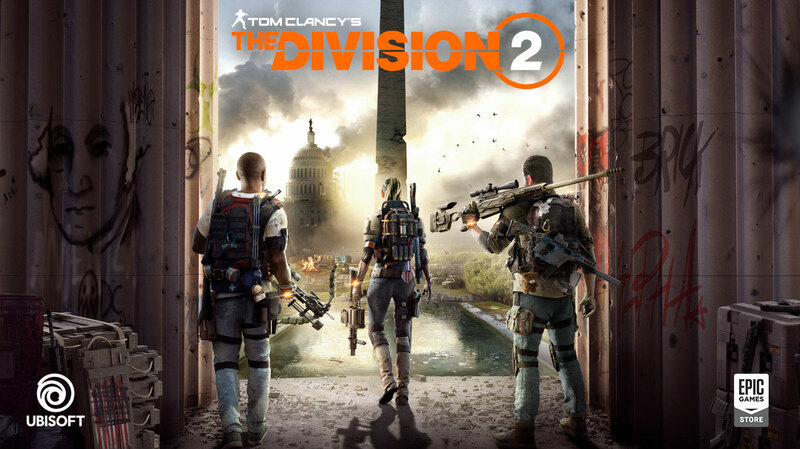 Tom Clancy's The Division 2 will bring players into a fractured and collapsing Washington D.C. where enemy factions vie for control of the country. The fate of the free world is on the line. Building upon more than two years of listening and learning with The Division community, Tom Clancy's The Division 2 will offer a substantial campaign and a robust endgame that will expand with free DLC for all players. The game will be released on March 15 on the Xbox One family of devices including the Xbox One X, on the PlayStation®4 computer entertainment system and on Windows PC. Players can register for beta access now for a chance to play at http://thedivisiongame.com/beta. For more information on Tom Clancy’s The Division 2, please visit: tomclancy-thedivision.ubisoft.com and the game's official Facebook and Twitter accounts. 2 - Any pre-orders previously placed elsewhere will still be honored.